to ensure concentrated tuition and feedback for all students. These workshops run over 2 or 3 days (need not be in succession) and serve as an introduction to the basics of figurative sculpture using polymer clay. Suitable for complete beginners as well as those with some skills, these classes cover the processes of sculpting a head, hands and feet and assembling a pose-able body. 3-day workshops also cover painting, wigging and basic costuming. *This is a mobile workshop. If you are interested in holding a class for your group, guild, school or association, please drop me a line via my contact page. 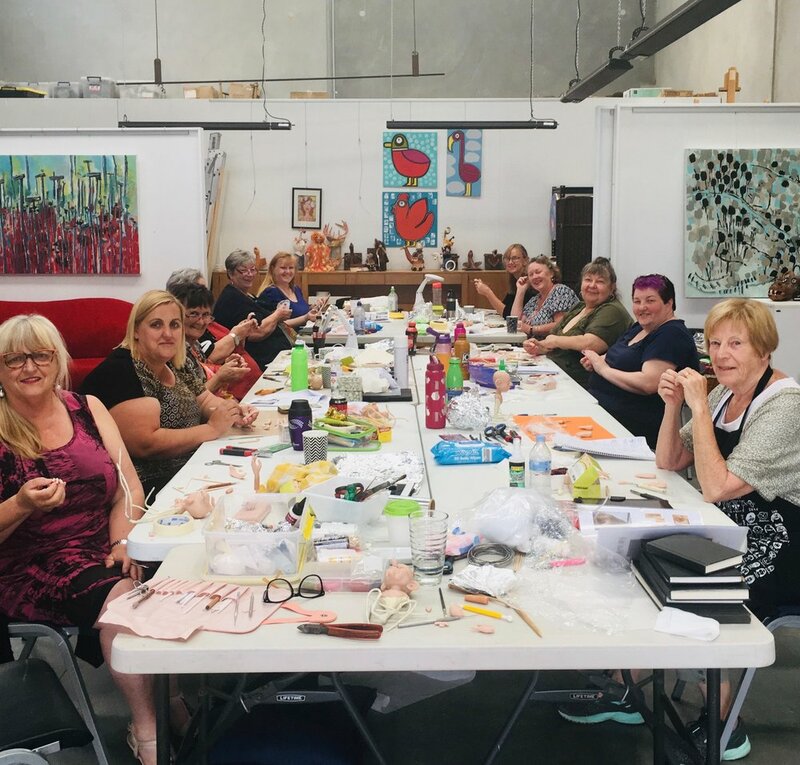 For the past three years, I have been fortunate enough to be invited to teach at the Ballarat Winter School run by Glenys and Noni of Fibre Arts Australia, and held in the beautiful grounds of Ballarat Grammar School. This is a live-in workshop over 5 days. The longer time frame (and the blissful absence of having to cook or do anything but be creative all day, every day!) means that projects can be more complex and reach a higher degree of finish than those in the shorter workshops. Please visit the Fibre Arts Australia website for full details. For designers and artists, drawing is an invaluable tool for visualising ideas. The spontaneous marks made on paper during sketching form a visual record of the designer’s thinking. Sketching is still the quickest and most direct means to produce visual representations of ideas. 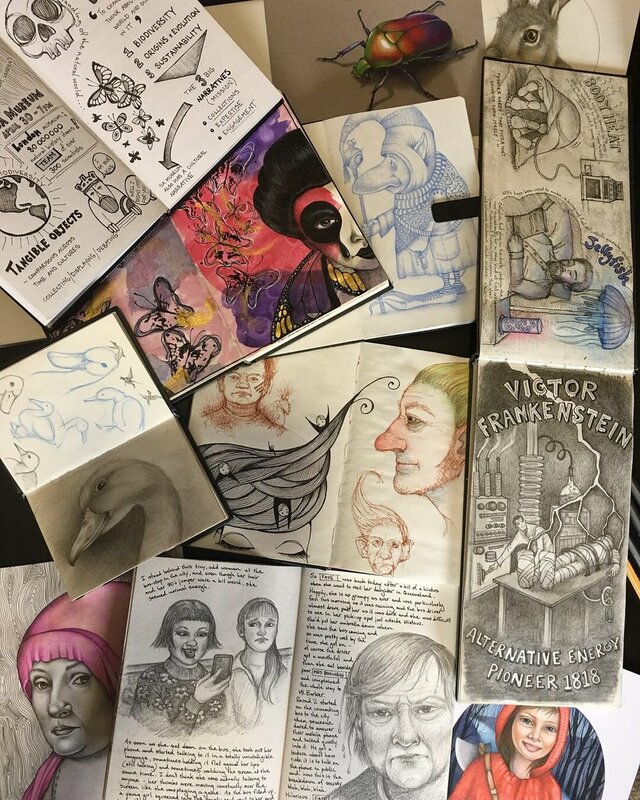 These intensive workshops cover the exploration of design elements and principles, drawing from observation, mark-making, ‘meditative’ drawing, drawing from the imagination, and keeping an art journal and staying motivated.